I just got this email (below) from the City of Austin about Zilker’s 2011 Kite Festival. Yippeeeee, I love going to this. Make sure to mark your calendar for March 6th this year. See you there! 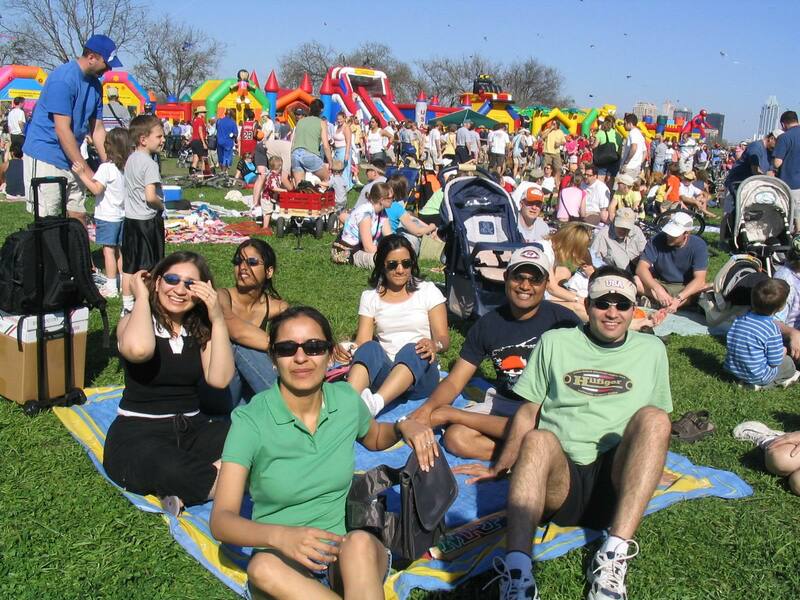 The 83rd annual Zilker Kite Festival, the oldest continually running kite festival in the USA, will be held on the Great Lawn at Zilker Metropolitan Park, 2100 Barton Springs Road visit http://www.zilkerkitefestival.com/ for more information. The sky will be filled with dancing kites and colors as thousands gather to welcome the spring for the 83rd Annual Zilker Park Kite Festival or “Kite Day” in Zilker Metropolitan Park. Everyone is welcome to come enjoy this grand celebration of the spring, even the family pets. The Zilker Park Kite Festival, sponsored by The Exchange Club and the City of Austin Parks and Recreation Department, is FREE of charge to attend or participate in. Festivities start at 10 am, registration for competition starts at 11 am, and the kite contest starts at 1 pm. Free parking is available at the state garage at the corner of 16th and Colorado (1604 Colorado St.). Shuttle rides are $1 round trip for persons 12 years and older. Kids and dogs ride free! Created in 1929, the Kite Festival competition events have changed little since then. Participants are encouraged to compete with their homemade kites in the steadiest, highest angle, strongest pulling, most unusual, smallest, and largest events. The contest includes youth (up to 16 yrs old) and adult (16 yrs or older) categories and a 50-yard dash for kids between 7 and 12 years of age. Trophies will be awarded to the 1st, 2nd and 3rd place winners. Don’t have a kite? Come make a kite at our on field kite workshop. All materials are supplied and the kite is guaranteed to fly. You don’t have to fly a kite to enjoy the festival. Many come just to enjoy the magical view. Delicious foods, moonwalks, face painting, rock wall climbing, games and contests for the kids will be offered all afternoon. Kite flying demonstrations by professional kite flyers will be presented throughout the day. Kites choreographed to music will dance singly and in groups. Kite battles, Kite buggies, kite skateboards and huge 40, 50 and 90 foot kites will be displayed on all day. Come hungry! Delicious foods of all kinds will be prepared fresh at the event. Through concessions sales, The Exchange Club of Austin raises funds to break the cycle of child abuse. Funds generated go to local organizations such as the Rainbow Room, Family Connections and the Pebble Project that are dedicated to helping central Texas kids lead safe and happy lives.